Office Assistant: Candidates who have completed Bachelor in any discipline with 55% marks in aggregate with a minimum of five years working experience in the establishment/ administrative matters in a Govt. 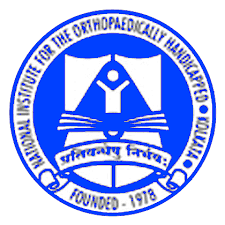 or reputed organizations & Working knowledge in Computer or equivalent from a recognized Institute for NIOHKOL Recruitment 2018. Multi Tasking Staff (MTS): Candidates who have completed Class XII passed with working knowledge of computer or equivalent from a recognized Institute for NIOHKOL Recruitment 2018. Administrative Officer: Candidates who have completed Any Graduate from a recognized university with hands-on knowledge of computers. Minimum three years experience in handling Office Communication & Any course in computer application or equivalent from a recognized Institute for NIOHKOL Recruitment 2018. Eligible & Interested candidates can download the Notification & Application form on the Official website page at www.niohkol.nic.in NIOHKOL Recruitment 2018.